Mega beats, great atmosphere & unforgettable party! For a quick bite in between! From the slope to the "Schirmbar". Still bursting with energy of the last perfect run of the day. Perfect weather. Perfect snow conditions. And now: Time to celebrate the day. Après Ski in Soelden starts with us at 2 pm at "Schirmbar", directly in Soelden's hottest Après Ski area called "Bermuda triangle". The music is turned up full. Vibrant atmosphere. Another drink and moving on to: Welcome to Almrausch. When famous DJs let all the chicks get started and the stage catches fire, then the beats are like energetic bullets. If you're hit, you'll be part of Almrausch's atmosphere. Rhythm and dancing. Feeling young and free. 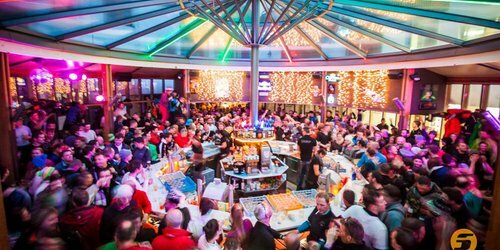 'Cause today there is one thing to celebrate: legendary Après Ski in Soelden. Before you move to Fire & Ice a short stop at HAM HAM - Soeldens unique location for huge burger and hot snacks - is a must. A culinary firework in between times is awaiting you. Plus power for tired legs. 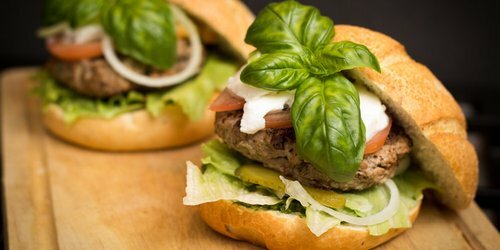 'Cause the night is still young and it's the perfect time for 100 % beef in between two toasted burger buns, fresh lettuce and hot dips. If you think, you've seen everything of Soelden's Après Ski, so you're badly wrong. Never judge before you haven't been to Fire & Ice. The night has no limits there. The clock is going crazy and it's all about one thing: Party. When stars as Tim Toupet, Willie Wackel or Mickie Krause are king of the turntables, there is only one more last resort: an ice-cold cocktail. 'Cause now it's time for dancing, celebrating - in other words the club is on fire till the ice is broken: right at Fire & Ice. 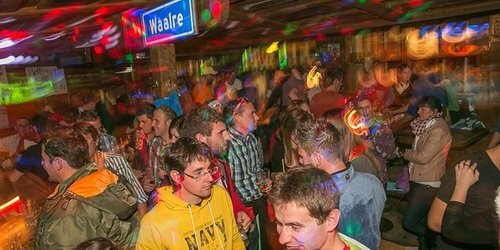 The party highlight and number-1-après-ski-spot in Soelden.